New Jersey officials have finalized the fishing regulations for the 2016 season, the Division of Fish and Wildlife have announced. 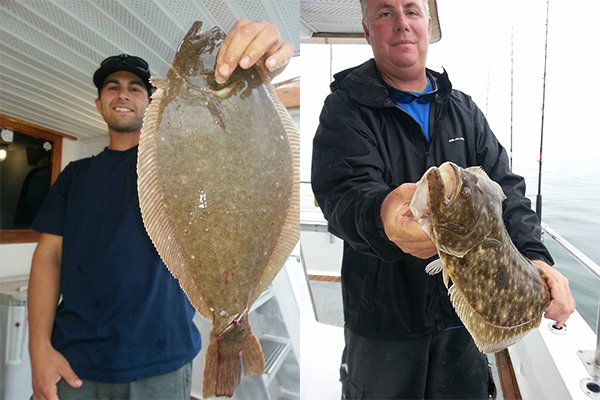 Regulations for the Shore area’s most popular species – summer flounder – will remain the same as last year. The season will run from May 21 through Sept. 25, the same length as last year, and the limit will remain five fish and 18 inches each per angler. Black sea bass season will open May 23 and close June 19, during which time anglers can take 10 fish at 12.5 inches. The season will reopen July 1 through Aug. 31, though the bag limit will be reduced to just two fish. The season will reopen for a third time Oct. 22 through Dec. 31, during which time anglers can bag 15 fish at 13 inches each. Striped bass regulations remain one fish at 28 inches to less than 43 inches and one fish 43 inches or greater. Blue crabs must be 4.5 inches, point-to-point, if hard and 3.5 inches if soft. Peeler or shedder crabs can be 3 inches point-to-point. The recreational limit is one bushel per crabber. Clams must be 1,5 inches across. No harvest on Sundays is permitted, and anglers must pay for a shellfishing license. Bluefish remain with a 15 fish bag limit and no size limit; weakfish regulations remain at just one fish at 13 inches and blackfish. Blackfish season reopens July 17 and runs through Nov. 15 with a bag limit of one fish at 15 inches. From Nov. 16 through Dec. 31, the bag limit rises to six fish.